Do the knight thing | Where's my backpack? On the western side of Ireland’s Hook Peninsula lies a diminutive village by the name of Templetown. The area is steeped in history for the land around here was held for many years by the Knights Templar after their return from the Crusades. When King Philip IV of France found himself deeply in debt to the Templars, he spearheaded the arrest, incarceration and torture of knights all over France, seizing the Templar assets for himself. The attacks took place at dawn, Friday 13th, 1307 and just over a month later Pope Clement V put out the call to monarchs across the rest of Europe to do the same. The Templars in Ireland were rounded up on the 10th of January 1308 and imprisoned in Dublin Castle, charged with the same crimes as their European counterparts. No evidence of wrongdoing could be produced and the knights denied all charges. In France, torture led to many knights confessing to ‘crimes’ but in Ireland the knights were given penance, absolved and sent to monasteries to repent their sins. Despite never being proven guilty of anything, they were dispossessed of all possessions and lands, which the Pope then granted to their rivals, the Hospitallers. I went looking for traces of the legendary knights on a recent visit to the Hook Peninsula on the south coast of Ireland. The cannily named Templars Inn helped me find what I was looking for – it is located right across the road from the Templar ruins. 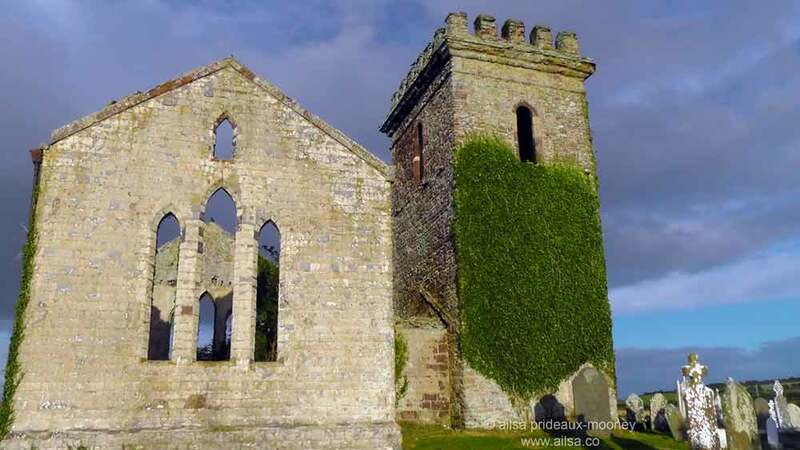 The ruins in Templetown are a muddle of different eras, medieval remains probably constructed by the Hospitallers, an impressive castellated tower that was probably added on later to fend off attackers and the shell of a 19th century church. Wander through the gravestones that are scattered around the ruins and you might spot a trace of the Knights Templar who once called this place home. 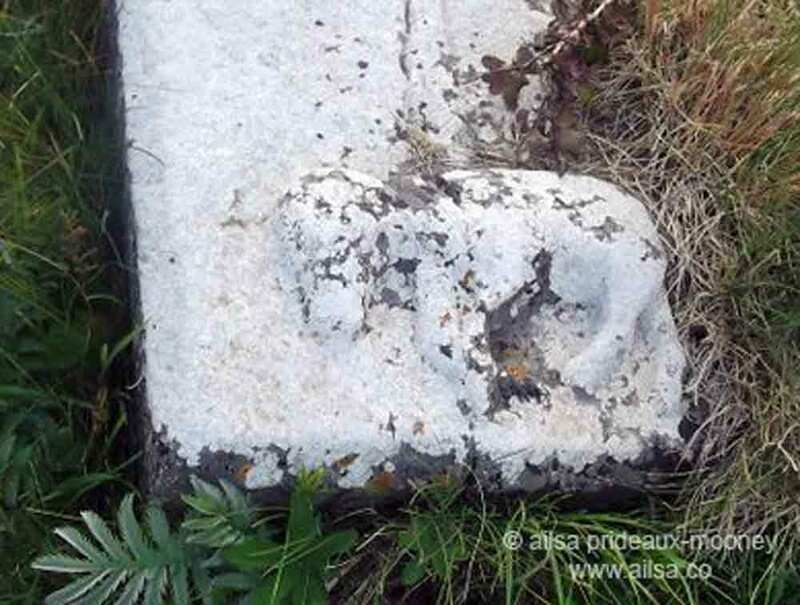 On one of the gravestones there is a sword carved down the length of the stone and at its base, weather worn but still discernible, the figure of a little lamb. The Templars were here. 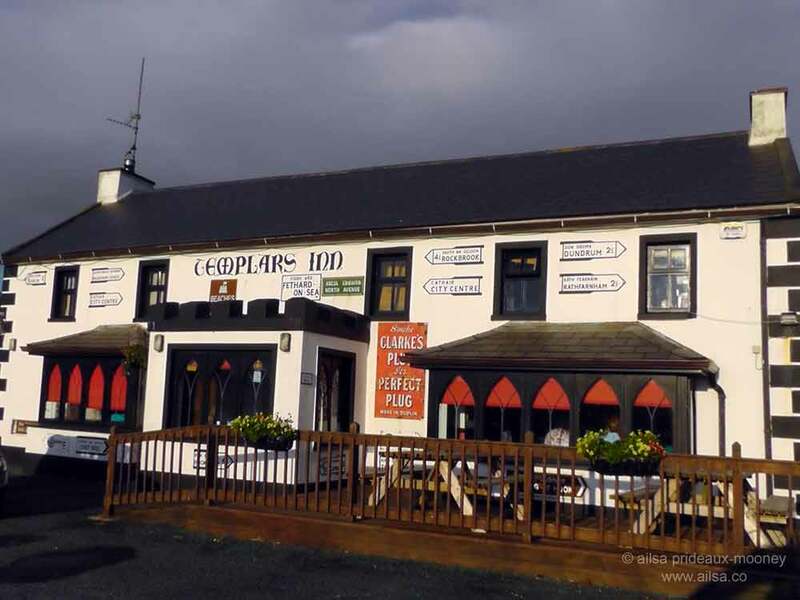 This entry was posted in Europe, Ireland, Photography, Travel and tagged history, photography, photos, pictures, travel, writing. Bookmark the permalink. An evening tour around the old town with one of the qualified guides is a must. It’s like stepping into another world, I can’t believe I was lucky enough to live there. Someday my husband and I plan to go to Ireland, ride bikes through the green countryside, maybe stay on a sheep farm… But this ancient Knights vs Pope story could inspire an excellent post-colonial type novel, or a fascinating satire! What a treasure of creative research there! Templar knights appear in so much of fiction/history. Enjoyed the pictures of places I’ve read about. That little lamb always seems to be in that same pose when the knights are involved. Fascinating to have the history behind the locations. Good photos, too. Very interesting post! I love history! I made my first visit to Ireland earlier this year, but not to this part. Found this really interesting! I was in the south-west. Flew into Shannon Airport and spent a few days in Limerick before doing a big road trip along the coastline of the south west, ending in Cork. I haven’t blogged about it yet – but I will be soon! Keep an eye out for my posts! What an awesome trip! I love researching local lore and searching for myself. And Ireland…how could you not? It’s a special place, and we walk the dogs regularly in Roslin Glen…..you’ll find quite a few photos from there on my blog! !